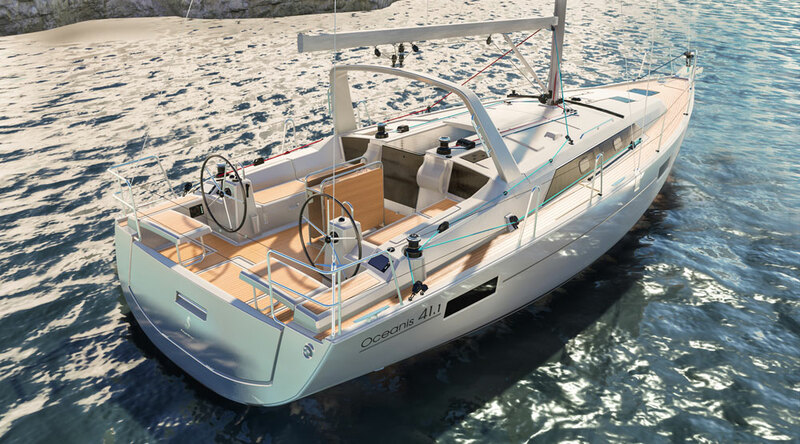 With the boldness of a ‘best in class’, the Oceanis 41.1 embarks on a new era of performance and personalization. 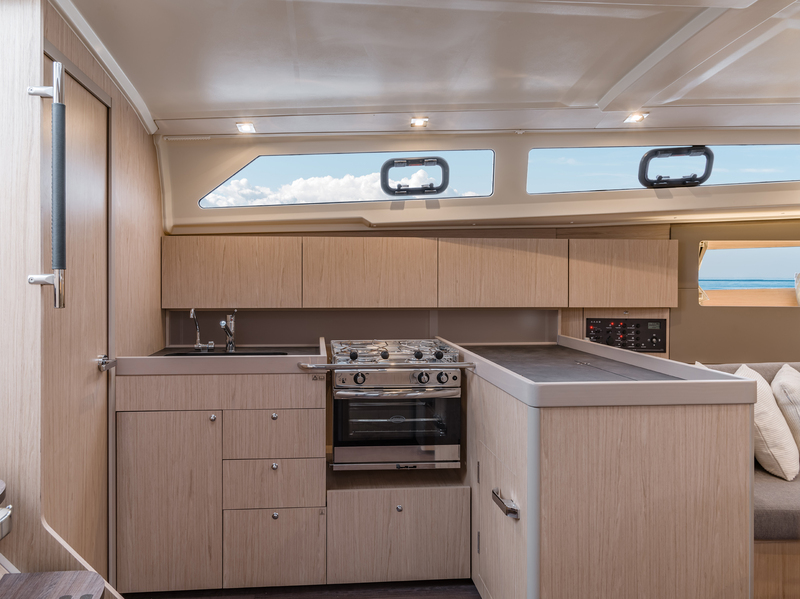 Built on a chined hull making her remarkably habitable, you can quickly distinguish her from her counterparts by a large stern accommodating the biggest cockpit on this size of boat. 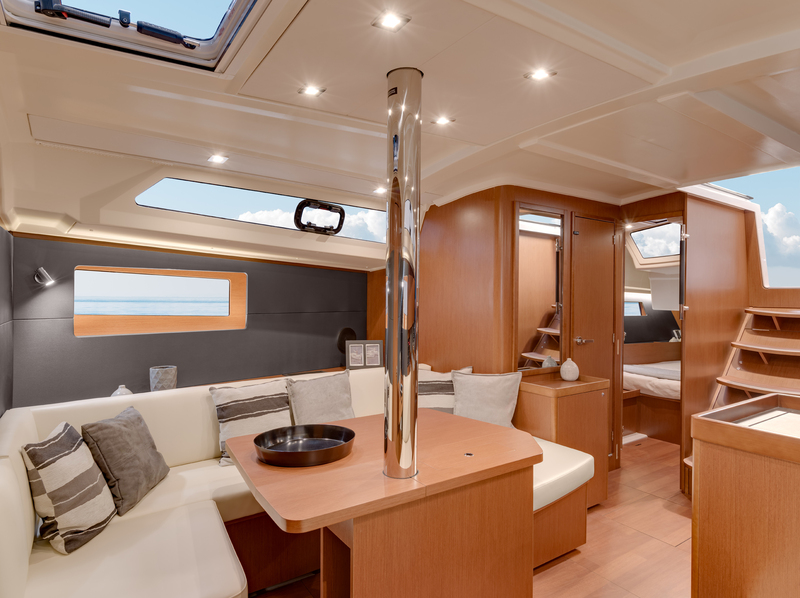 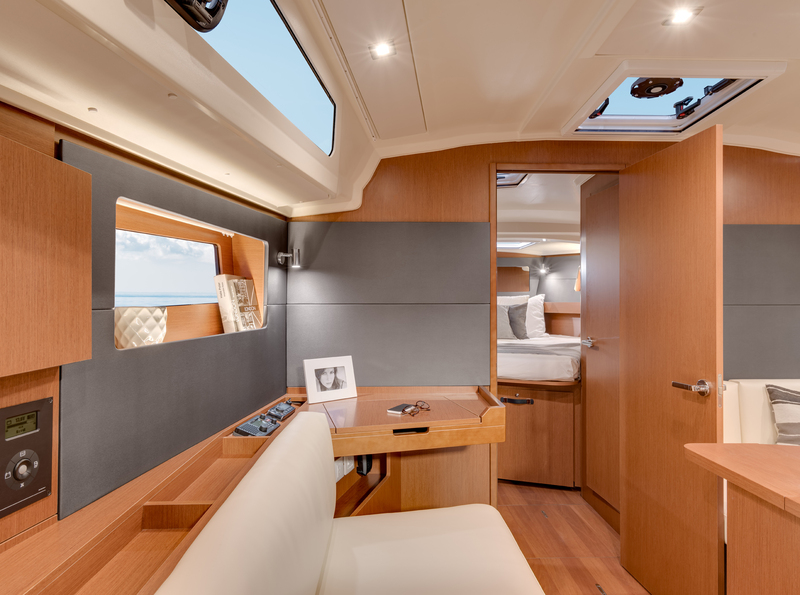 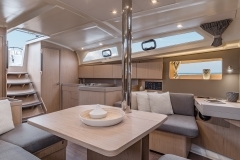 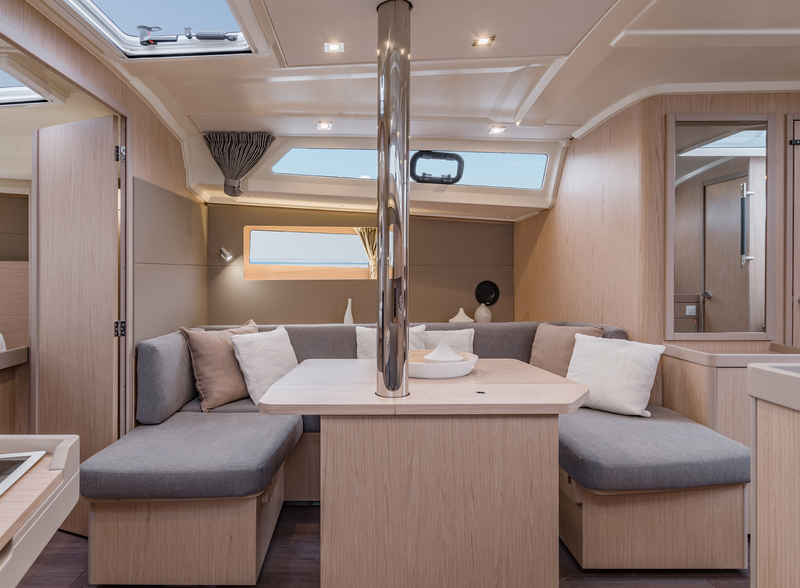 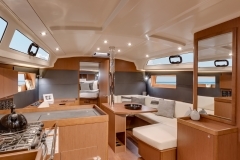 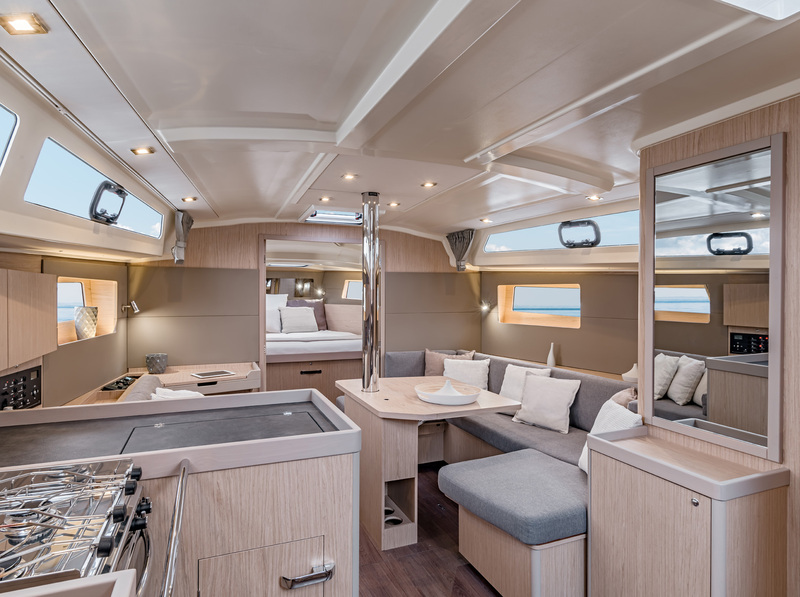 With the minutest details lending themselves to personalization, the lines of the Oceanis 41.1 interior are airy and harmonious in all layouts. 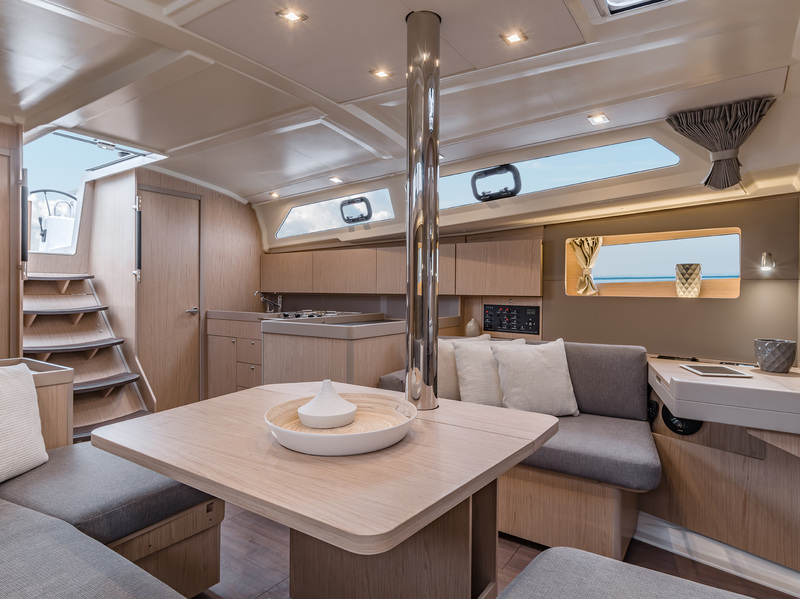 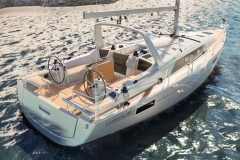 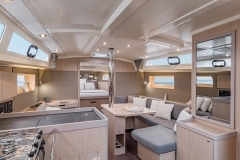 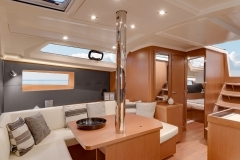 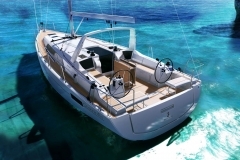 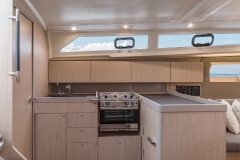 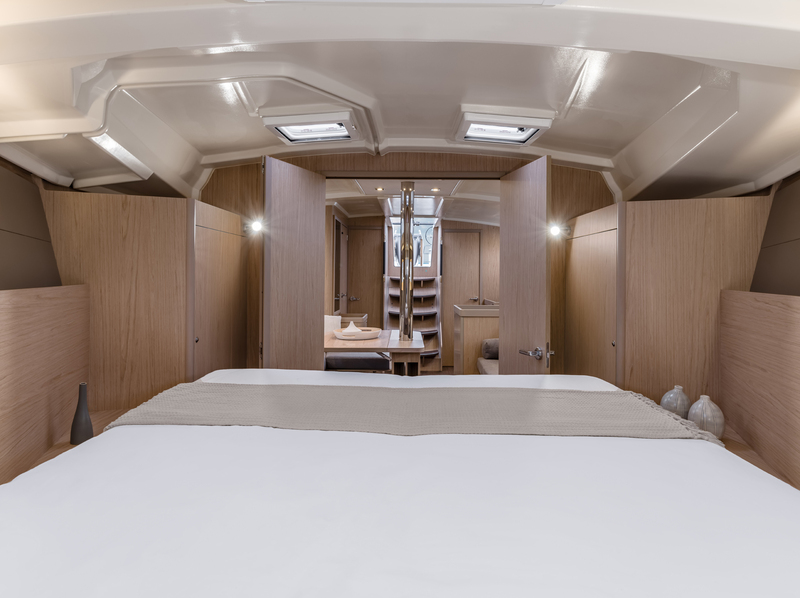 With a choice of woodwork, colors and lining materials, not to mention the number of cabins and shower rooms, there has been a considerable leap forwards on the Oceanis 41.1 in the way it adapts to different crew configurations and lifestyles on board. 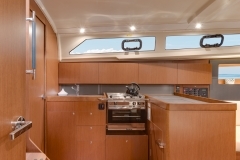 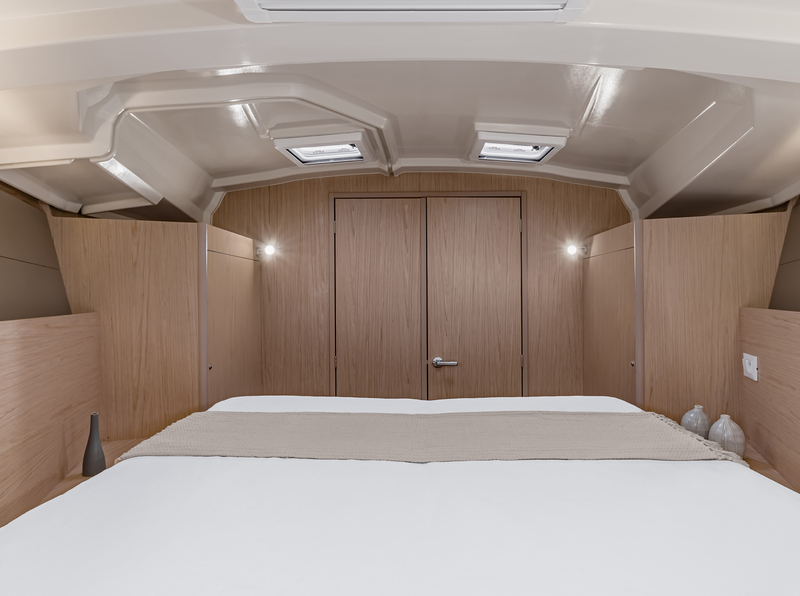 The generous space in the owner cabin is worthy of a 45’ cruiser and enables you to face the bed forward. 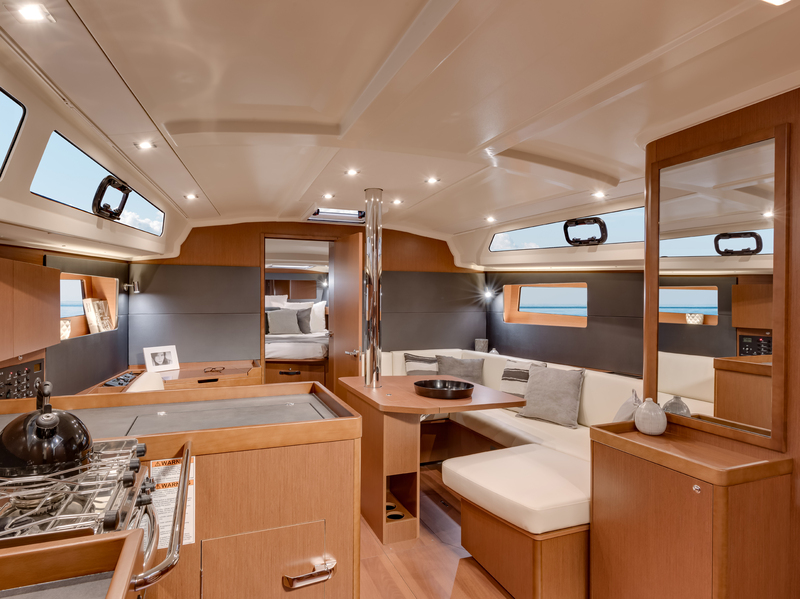 The world’s most advanced line of cruising yachts, the Oceanis series provide a new dimension in luxurious ocean living and sailing. 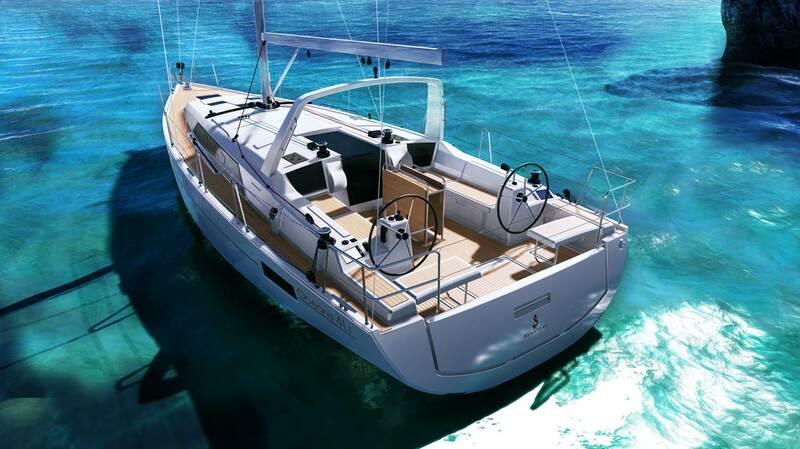 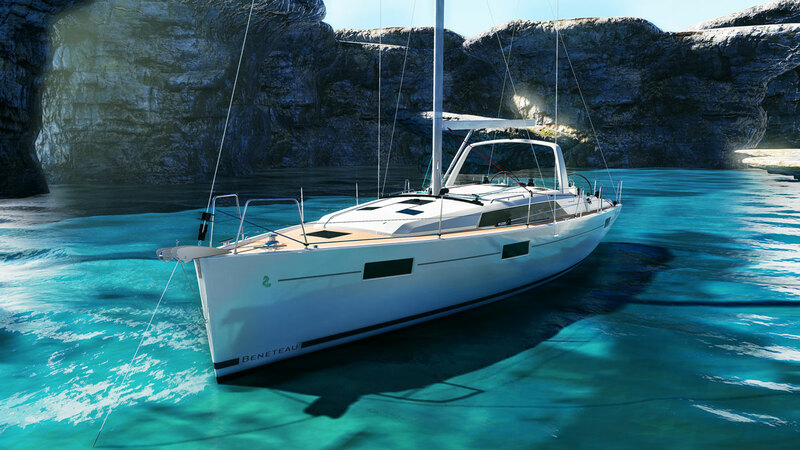 Each of the Beneteau Oceanis sailboats, from 31 to 58 feet, balance sailing, power, and speed with extraordinary ease of handling. 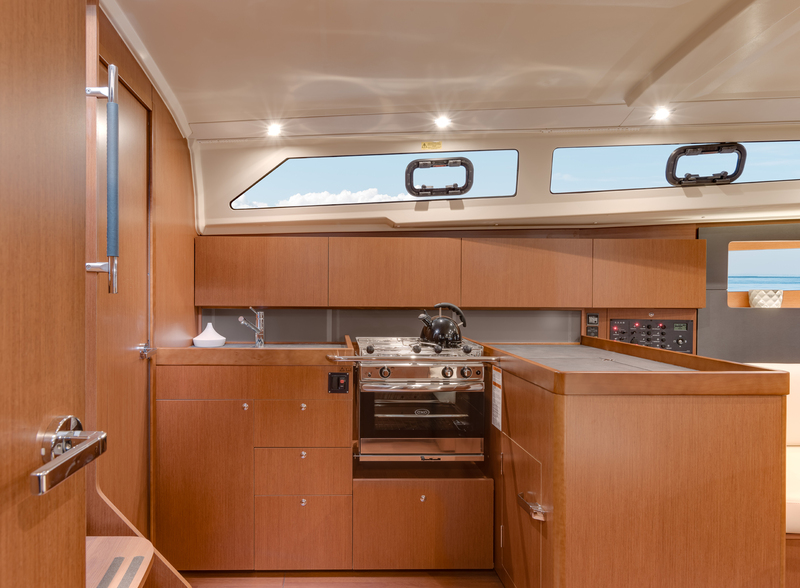 Speed, Depth/ Wind display, PC interface, Simrad Autopilot.